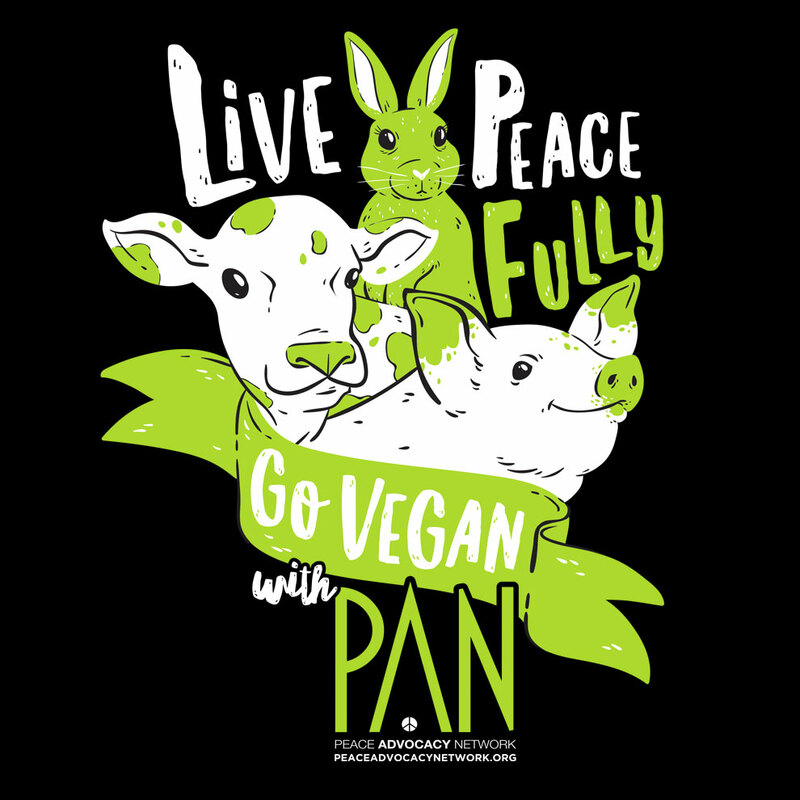 I recently finished doing a shirt design for Peace Advocacy Network, which is an awesome grassroots group that promotes veganism and social justice. 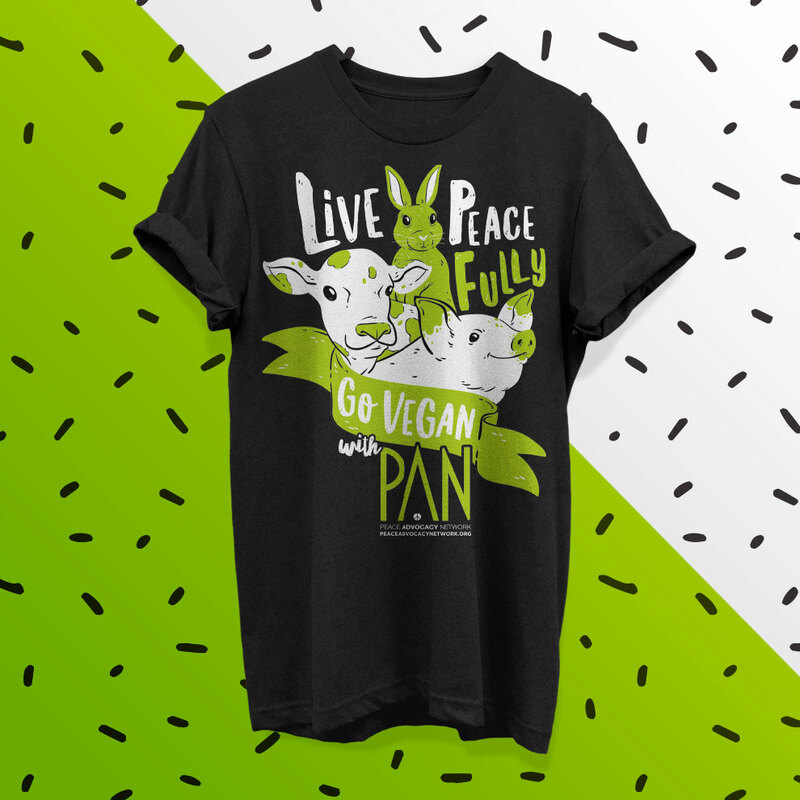 I participated as a mentor in their Vegan Pledge earlier this year, where experienced vegans give advice and support to people who are vegan-curious, so when one of the founders put out a call for a designer, I jumped at the chance. 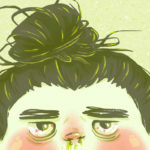 This is the end result, and I’m really happy with it! I can’t wait to see it in real life. 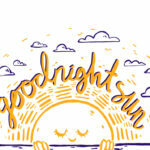 I may try to screenprint the main graphic at some point since it’s minimal color – my fave. P.S. 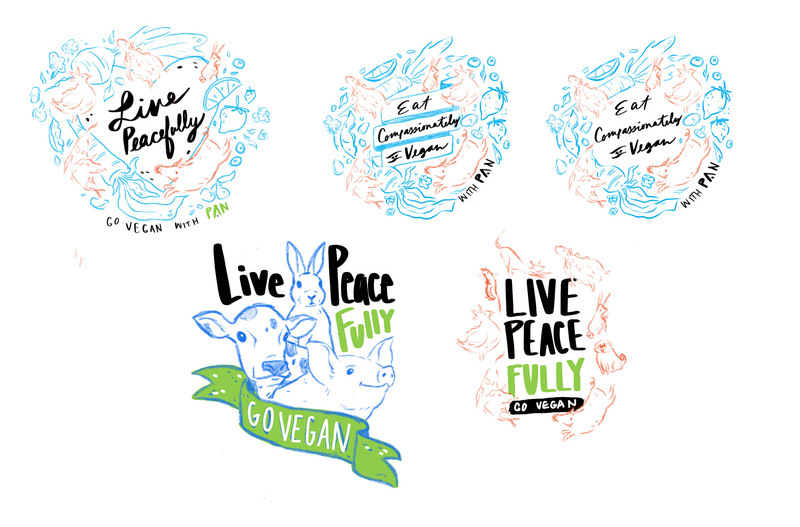 In general, if you’re an animal rescue, sanctuary, or vegan org, I would love to draw or design things for you!